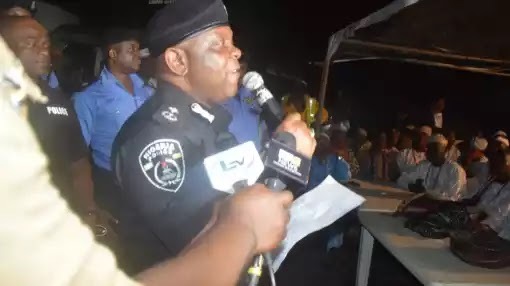 The Acting Commissioner of Police, Lagos State command, Mr. Edgal Imohimi, has ordered a full-scale investigation into the alleged corrupt practices preferred against the Officer in-Charge (O/C) of the Anti-Kidnapping and Cultism Unit of the command, Chief Superintendent of Police (CSP) Adejobi Akinade. It would be recalled that a group, Network on Police Reform in Nigeria (NORPIN) had in a petition to the new Commissioner of Police, on September 1, 2017, accused CSP Adejobi of unlawful detention, demand of N70,000 bribe for bail and sexual molestation in a case of one Blessing Taiwo, accused of stealing $50,000 belonging to Mrs. Abiola Osagie. A statement by the Police Public Relations Officer (PPRO) of the command, Olarinde Famous-Cole, yesterday disclosed that the new police boss had directed that the Deputy Commissioner of Police (DCP) Panti commence a discrete and in-depth investigation into the alleged corrupt practices. The statement further said that the commissioner had requested that all parties involved in the case come for an interview at the police command headquarters on Tuesday, 2017 at 9:00a.m., including the alleged victim in the publication. It also pointed out that the Commissioner of Police had ordered the immediate recall of the O/C Anti-Kidnapping, CSP Adejobi to the command headquarters in order to ensure an impartial investigation, adding that the new police boss was worried about the allegation and wanted justice served. The statement reads: “The attention of the Lagos State police command has been drawn to the media publication making the rounds on social media about an ongoing police investigation alleging the O/C Anti-Kidnapping and cultism unit of corrupt practice. “The Commissioner of Police has requested that all parties involved are to come for an interview at the police command on September 5, 2017 at 9:00a.m. He has also directed that the DC Panti commence a discreet and in-depth investigation into the allegation of the police action.